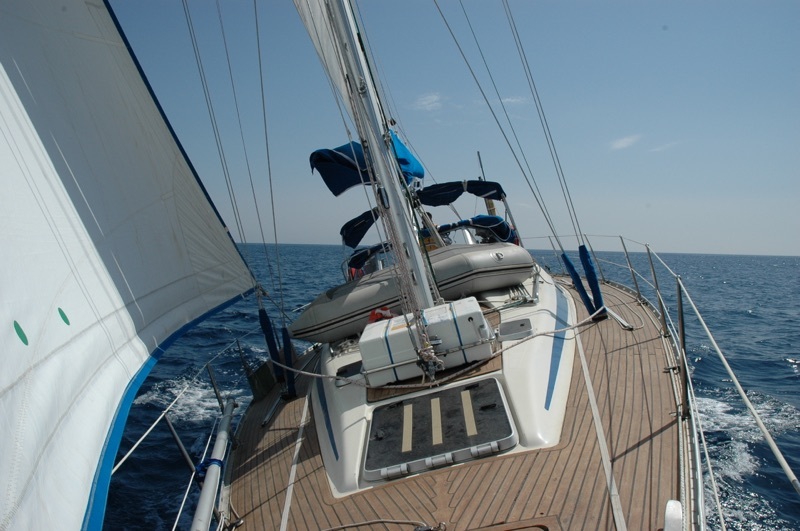 The school’s principal sail training yacht for RYA sailing courses in Greece is "Mafalda II", a Bavaria 390. She is strong, fast and comfortable. Built in 1996 and completely refurbished in 2014. This yacht is constantly updated (see inventory below).This yacht was chosen for her outstanding sailing qualities and, as yet, no-one has built a better 40 footer with 4 double sleeping cabins! Yanmar 75hp diesel engine (2015), Furling genoa (2015), Slab reefing mainsail (2017), Cruising chute (2013), Lewmar/Harken winches (2014), Tack Tick integrated instrument system (2014), Autohelm 6000 autopilot, Garmin GPS chartplotter, Garmin Radar (2014), GPS cockpit repeater, AIS, Icom 5 series DSC VHF (2014), McMurdo EPIRB, Dinghy, Outboard motor, Bimini, Cockpit table, Bathing platform, Fishing gear, Snorkelling gear, CD/MP3 Player. 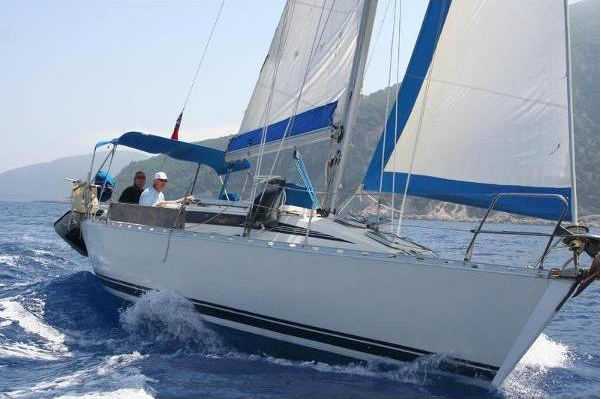 "Aegea" is a Beneteau 345 and, in our opinion, one of the best boats that Beneteau ever built! The sailing performance of this 35 footer puts most bigger boats to shame. She is tiller steered and has benefited from a complete re-fit during the winter of 2017. Ideal for couples (see our discounts and packages page for more details). Beta Marine 25hp diesel engine (2015), Furling genoa (2016), Slab reefing mainsail (2016), Lewmar winches (2012), Clipper integrated instrument system (2017), Simrad autopilot, Garmin GPS chartplotter, Furuno Radar (2016), GPS cockpit repeater, AIS, Satndard Horizon 5 series DSC VHF (2017), McMurdo EPIRB, Dinghy, Outboard motor, Bimini, Cockpit table, Bathing platform. New to our fleet for 2019! "Rusalka" is a Fairline Targa 43, a stunning example of this extremely well built and powerful twin screw motor yacht. 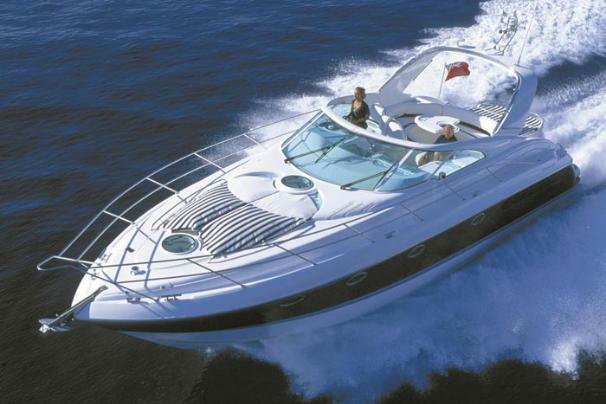 She has a top speed of 27 knots, is a dream to steer and has a sumptuous interior. 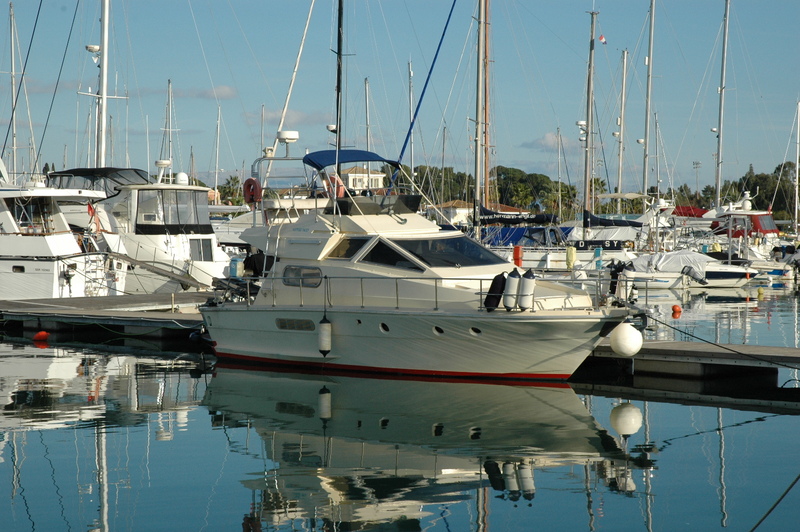 Most RYA Motor Cruising courses require you to find accommodation ashore. We are offering a 'live board' option on "Rusalka" - full details can be found on our discounts and packages page. 2 x Volvo 480 HP turbo charged diesel engines, Raymarine GPS chart plotter, Raymarine Radar, Icom 5 series VHF, McMurdo EPIRB, bathing platform, CD/MP3 player. We also have “Nizinski”, a spanish built Astilleros twin screw motor yacht. She is powerful, yet easy to handle. An ideal boat on which to practice twin engine manoeuvres. 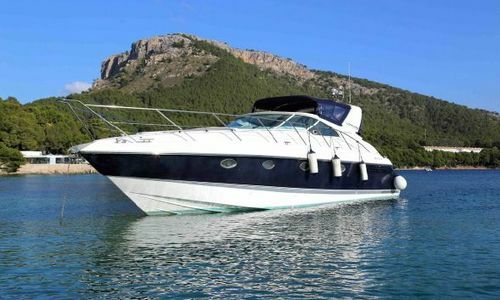 2 x Mercruiser 275hp turbo charged diesel engines, fly bridge and wheelhouse steering positions, Raymarine GPS chart plotter, Raymarine Radar, Icom 5 series VHF, McMurdo EPIRB, bathing platform, CD/MP3 player. 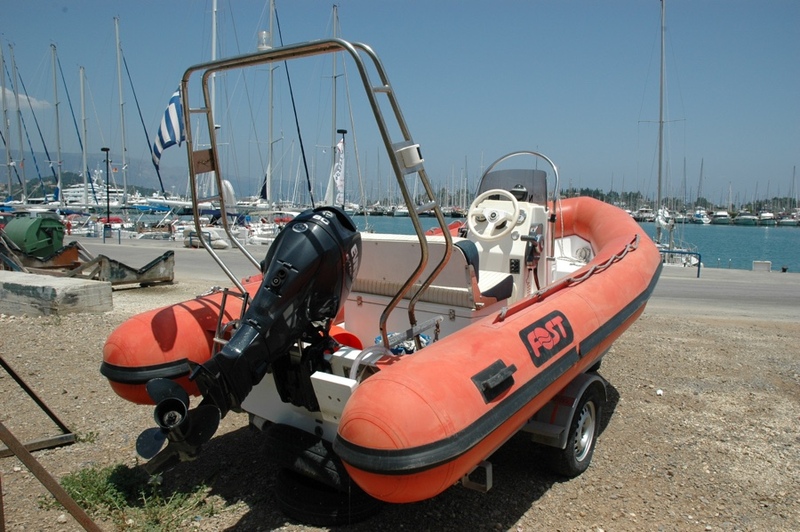 For our RYA Powerboat courses in Greece we use medium powered RIBs. 'Anemos' (wind in Greek) is our principal training boat. She is a 4.7m Zodiac powered by a 60HP, 2-Stroke Evinrude outboard . She is easy to handle yet reaches a top speed of 25 knots. Anemos has a portable VHF radio and GPS plus a powerful engine tilt and trim system. She also provides valuable support for our RYA sailing courses in Greece. RIBS (rigid inflatable boats) are by far the best option for powerboat training. They offer high buoyancy, great power to weight ratio and are less intimidating for newcomers learning how to moor a boat. 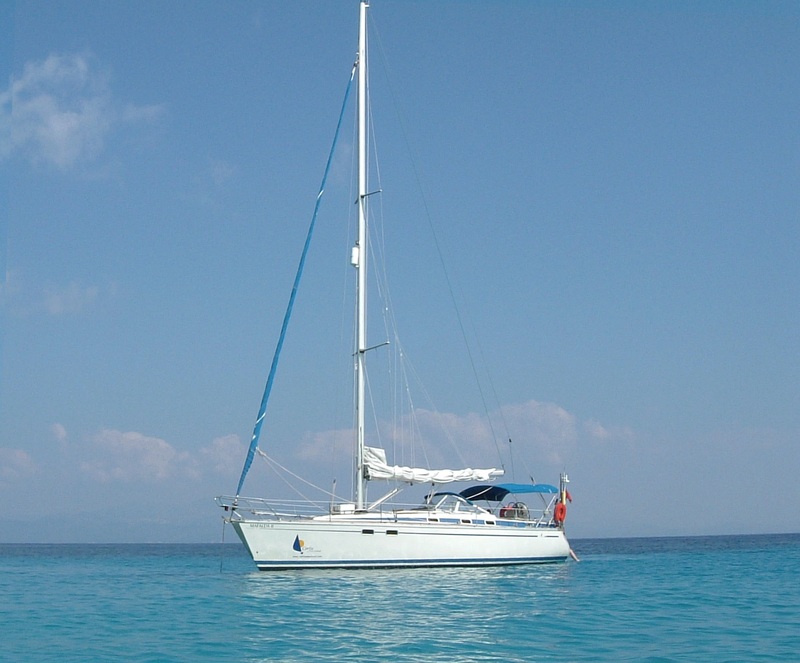 Our speciality is RYA sailing courses in Greece. We are confident that we can offer you the best value and tuition in Greece.